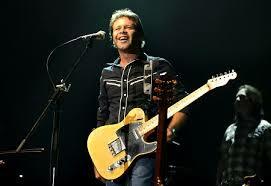 There are few more loved figures in Australian music than Troy Cassar-Daley. Troy's songwriting, performances and musicianship have seen him win a slew of awards: arias, deadlies and about three dozen golden guitars. Behind all this is a great guitar player and absolute tone hound. Troy fired up his live rig and home studio to play us through his prized acoustics, vintage Tele, pedal board, amps and a spectacularly sweet franken-strat.